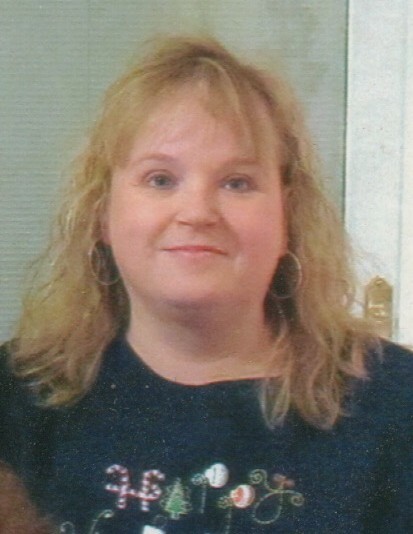 Kimberly Lynn Schramm, age 45, of Hammond entered into the gates of heaven on Tuesday, May 29, 2018. She is survived by beloved husband of 22 years, Craig E. Schramm; son, Tyler Schramm; parents: John (Cinda) Kantor; 1 sister, Lori (Bryce) Needham; 2 brothers: Michael (Lori) Kantor, John (Jackie) Kantor; numerous aunts, uncles, nieces, nephews and dear friends including her Yorkie, Bella. Preceded in death by her parents in law: Charles (Mary) Schramm. Friends are invited to meet with the family for a time of visitation on Friday, June 1, 2018 from 1:00 p.m. until 5:00 p.m.at Bocken Funeral Home 7042 Kennedy Ave. Hammond (Hessville). Funeral service will take place at 5 p.m. with Father Charles Mosely, officiating. Private cremation will follow. Kim was born in East Chicago and raised in Hessville section of Hammond; she is a graduate of Morton High School class of 1990. She was a faithful member of Our Lady of Perpetual Help Church. Kim enjoyed scrapbooking, shopping, and her dog Bella. She was a loving wife, mother, daughter, sister and friend who will be dearly missed.